Turn on the TV or go online and “the cloud” seems to be the hot topic these days. But nowhere is it as important — or misunderstood — than in accounts payable (AP). 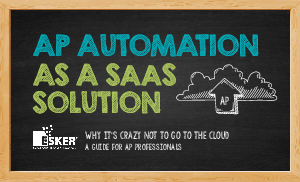 This guidebook, AP Automation as a SaaS Solution, explores why taking AP processes to the cloud has never been a more sensible, smart and sane business decision.